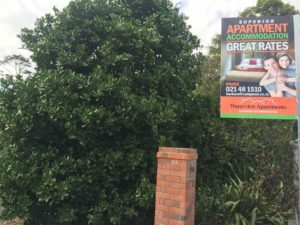 How far is the Residential Village from Unitec? 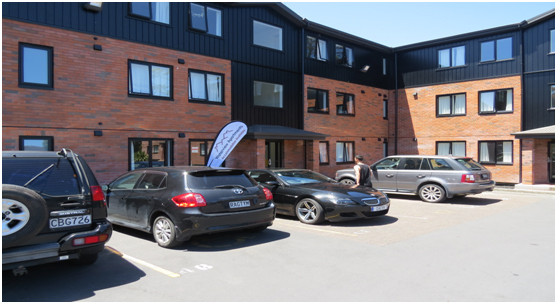 We are situated right at the edge of the Unitec campus. Unitec is a 2 minute walk through the Oakley reserve, or a 5 minute walk across the Alford pedestrian bridge. Do I apply for accommodation before I’ve been accepted into my Unitec programme? Yes. The sooner you apply for a room the better. 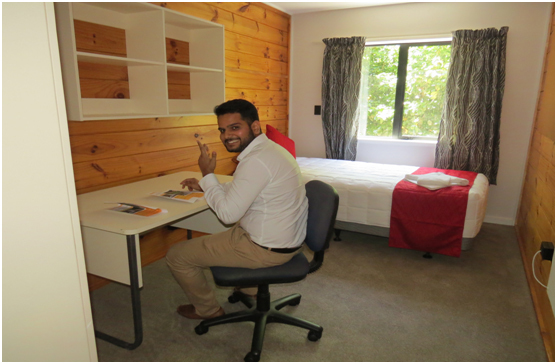 Places fill up quickly so it’s best to apply for your Unitec programme and student accommodation at the same time. If you don’t receive a place in your chosen course, just let us know and we can cancel your reservation. How many students live in an apartment? 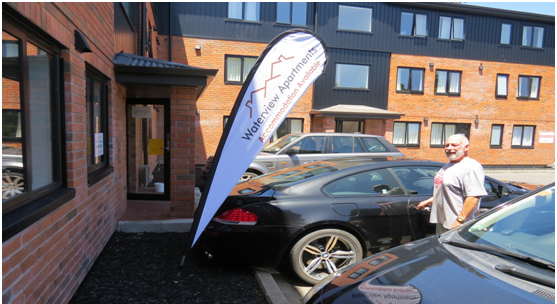 We have up to 5 residents living in each 5 bedroom apartment. Why sign up with CampusW? There are no commuting costs, you are right by Campus and there is bus transport to the city centre for a nominal cost. Convenience stores and supermarkets are close by and easy to walk to. You need only a $600 security deposit to move in. Nearly $5000 worth of furnishings and equipment is provided for basic living so you don’t have these costs to set up an unfurnished flat. We offer 24/7 onsite security, and we are the only facility on/beside campus that has a 24 hour resident manager in the village. The apartments are 100 sqm with a large lounge and kitchen area. The kitchens are fully equipped with everything you need. Each bedroom is 4.2m x 2.5m. Some double bedrooms (for couples) are 5m x 4.5m (limited number available upon request). There are two bathroom facilities in each Apartment. The main bathroom has a shower, toilet and vanity, and there is also another separate toilet and basin. There are 1-2 car parks per apartment. A charge of $275 per semester may apply. You are responsible for cleaning your own room and will share cleaning of the kitchen, bathrooms, and lounge in your apartment with your flatmates. You must leave your apartment in the same condition as it was in at the beginning of the semester. If not, a commercial cleaning charge will be deducted from your bond. If you want our motel cleaners to clean your bathrooms, kitchens and lounge, the charges range from $50 – $100 depending on the state of the apartment. You may wish to choose this option in conjunction with your flatmates. You can hire a Linen Pack from CampusW for $160. The pack includes a duvet inner and cover, sheets, pillow and pillow slip, towel, bath mat, hand towel, and tea towel. This must be returned cleaned to the office upon departure. Alternatively, you can arrange your own linen. Can Couples live in an apartment? We cater for couples, subject to availability. Some apartments have oversized bedrooms & queen beds. Do I have to move out during the mid-semester breaks? No, you are most welcome to stay over all semester breaks, and enter into long term contracts. You may have to change apartments over the summer period (Dec-Jan) due to spring cleaning. Upon arrangement, we may let people leave their possessions over summer if they wish to return the following year for a minimal fee of $50 per week. Can parents come to visit and stay? Yes, we’d be very happy for your parent to come and stay. Waterview Apartments also have motel guest rooms. So parents and friends can use these motel apartment facilities, subject to availability. Please contact our residential manager to book a room or an apartment. Yes, for 1 or 2 nights. They need to be registered with the accommodation office in advance, and your flatmates also need to agree. Additional fees may apply. The Residential Village is a Self Catered facility. 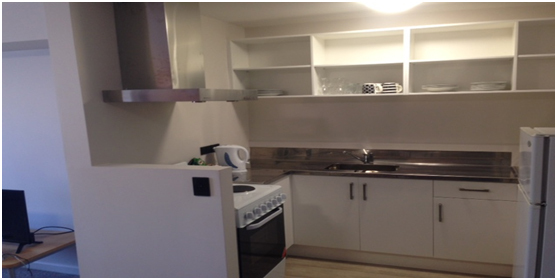 Each apartment has a kitchen, so students can prepare and cook their own food. Dietary requirements vary locally, countries have different diets, there may be religious requirements, and people’s schedules vary. So often people eat separately. There are separate storage areas for each student in the kitchen. How do you match up students with one another for rooming? We do try and match you with people you would like. On the application form is a section where you describe yourself and who you would like to share an apartment with. The arrangements are flexible, and if they don’t work out, we can attempt to change you to another apartment at a later date. What happens if I don’t like living in the apartment when I get there? Living with a number of people may be a change from the past. In apartments for first years, lots of activities are arranged for the first few weeks to ensure people get to know each other. (For example, some people do not realise they need to leave the kitchen clean for the next person, or do not assist in group cleaning responsibilities.) There are usually ways of resolving any problems provided you find ways of talking them through. Barbara, our resident manager, is always around to assist and help out. What are the power costs? The standard semester power charge is $399 per semester (21 week period) per person. The 12 week summer period power charge is $19 per person per week. What is the phone / internet charges? There are no phone land lines. Please bring a mobile phone. The standard semester internet charge is $125 per semester per person. The 12 week summer period is $6 per week. You are responsible for doing you own laundry. There are on-site coin operated laundry facilities.